The whole world is at your fingertips with this lovely decorative globe. This iron frame chalkboard globe is a blank slate to create your own world! Explore the your own world from the comfort of your living room with this decorative desktop globe. 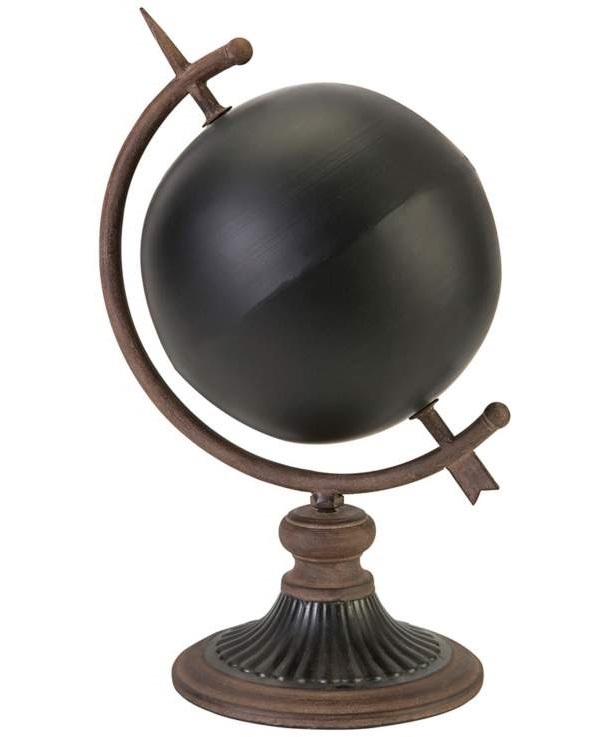 With its old world touch finish, this globe is a lovely accent for your home or office. A perfect gift to give for the world trotter as well! • Chalkboard globe with blank sphere. • 100 percent iron construction.